Blog | Are We Healthy with Drywalls? Are We Healthy with Drywalls? The problems began when the demand for drywall installation exceeded the capacities of the United States drywall market. Builders simply turned to other markets and imported drywall from China. It was much cheaper and they could satisfy the demands of their clients. At least until problems began. People started getting sick or notice that their appliances were failing to work and silver in the house were turning black. The use of chemicals for the manufacturing of drywalls and the high levels of sulfur made people dealing with bleeding noses, respiratory problems, coughing, terrible headaches and rashes. Some people reported that their electric equipment including appliances just failed to work or worn faster. 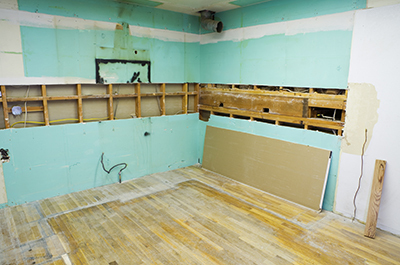 Drywalls caused corrosion on copper wiring and, consequently, televisions, air conditioners and other electric units just stopped working. The problem was more intense in coastal regions due to the high heat, which allows the emission of toxic vapors. So, is our home contaminated? If you have the above symptoms, you should think about the possibility of having a sick home, too. 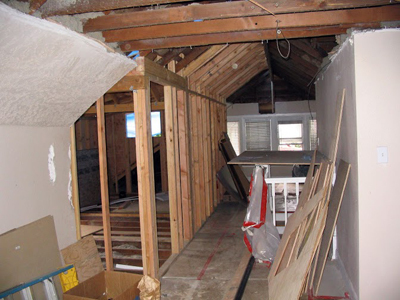 You should also consider the possibility of drywall removal immediately. When people in your family are sick without a good reason, appliances stop working, silver tans and there is a bad smell in the house like rotten eggs, you should seriously consider new drywall installation. Following these problems, the United States government introduced the Drywall Safety Bill, which protects consumers from getting the wrong drywalls. There should be a label stating its safety on each panel. Problematic panels must be disposed according to the law and not reused. This is the only way to ensure you are healthy at home. At the same time, you must make sure drywalls remain clean and free of mold since mildew spores will also make you sick. It only takes a broken pipe to have a damp wall and soon after mold drywall problems. You must take care of such problems with great speed. Again, one effective way to prevent mold from growing is to give attention to funny odors. Another way to protect your health is by using eco-friendly finish painting. Although most coatings are green nowadays, pay attention to their label and make sure they don't contain chemicals. In spite the fact that no people have actually died due to such problems, many have been dragged to the emergency room with serious health issues. Wouldn't you like to avoid that?